and where your life is headed? Maybe you feel that you’re running on a hamster wheel and it’s time to get off. Perhaps your ‘To Do List’ is longer than your arm. Do you have a running commentary of thoughts going on in your head and much of it is negative? Do you sometimes feel tired, irritated and a bit snappy? Have you forgotten about looking after yourself by eating well and taking exercise? Negative thinking, stressful living and not taking time for yourself can lead to stress, low self esteem and maybe even illness. These are all habits and the good news is you can change your negative thoughts and practices and replace them with positive ones! Join three of London’s top Wellbeing Coaches for some much needed time for you. Breathe, ‘BE’ and unwind, relax and rejuvenate. We’ll share with you tips and tools you can take away with you and use in your everyday life to assist you when the going gets tough. We’ll do some yoga and relaxation exercises, explore and re-frame negative thinking and you’ll enjoy some tasty raw food snacks. You’ll unwind and relax and feel ready to face the world again, this time at a slower, more mindful pace. Your Wellbeing Coaches will draw on their pool of knowledge and experience to bring you a truly empowering and rejuvenating experience. Sounds just what I need – I’d like to sign up! 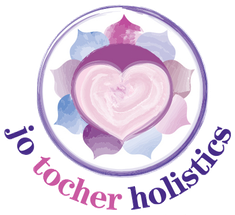 Jo Tocher is a Wellbeing Coach and Practitioner with 15 years experience of helping people relax and de-stress. She works with a myriad of therapies including Aromatherapy Massage, Indian Head Massage, Reiki, Hypnosis and Heart Screening (that’s the science bit!) and also runs her own Relaxation Classes. You can find out more about Jo at www.yourhealthyheart.co.uk. Yoginee Patel is an NLP trained Life Coach, Stress Management Coach, EFT Practitioner, Hypnotherapist, Past Life Regression Therapist and addicted runner. She is passionate about emotional, physical and spiritual well-being. Her firm belief is that our thoughts and attitudes determine our well-being and her aim is to share the tools and techniques that have helped her achieve peace and contentment with as many people as possible. Alison Matthews is a Trainer and Master Practitioner of NLP, a Professional ICF Certified Coach, an NLP Coach, Yoga Teacher, Reiki Practitioner and Raw Food Teacher and Coach. She trains university recognized NLP qualifications, business trainings, stress management, raw food workshops and coaches business owners, leaders and managers and private clients as well as teaching yoga every weekend. She knows the value of listening your body and trusting your gut instincts and is passionate about helping others to live life the way they want it. You can find out more about Alison at www.sensabilityuk.co.uk and www.rawconfidence.com. By booking and attending this workshop, you agree that you are healthy and able to take part in the physical exercise, relaxation and mindful techniques which we are teaching. Yoga mats will be provided. Please come dressed in something comfortable so that you can enjoy the gentle yoga. The raw food snacks may contain nuts – please notify us when booking if you have a nut allergy. Please notify us when booking if you have any disability. Minimum age 18. No maximum age. The organisers reserve the right to cancel or change the date or time of the event. If the organisers cancel the event, a full refund will be given. If the attendee cancels by 31 May 2014 a refund will be given minus £10 administration fee. If the attendee cancels after 1 June 2014, no refund is available. Someone else may attend in your place and you will need to notify the organisers by email before the event at least 48 hours before the event.